No # Jogging cart (maker unknown, ca. 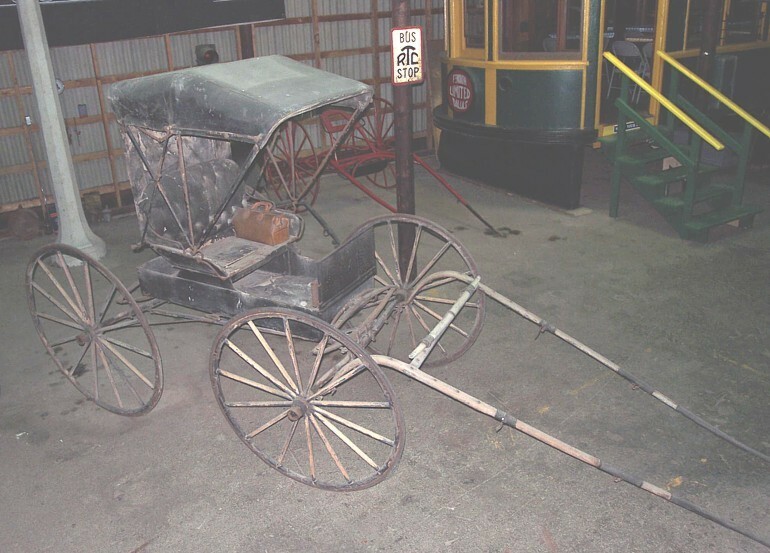 1890); wood, 2-wheel, single-horse vehicle for exercising trotting horses and for harness racing; complete and restored. No # Buggy (Cortland Wagon Co., ca. 1890); wood, 4 wood wheels with rubber tires, single-horse; complete but unrestored. No # Buggy (Sears Roebuck & Co., ca. 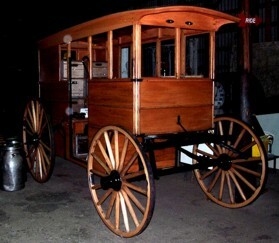 1890); wood, 4 wood wheels with steel tires, single-horse; complete and restored. No # Sleigh (maker unknown); wood, single-horse; (black color) complete but unrestored. No # Sleigh (maker unknown); wood, single-horse; (red color) complete but unrestored.